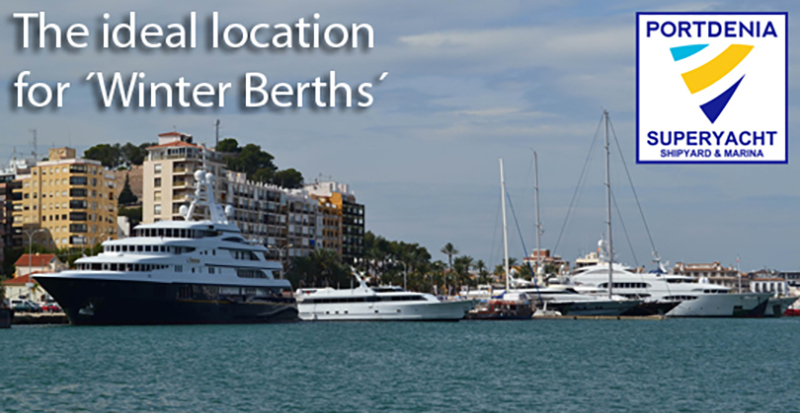 M/Y YAAKUN - At 65m, she is always a dominant and illustrious visitor to the Port Denia slipways, year after year. 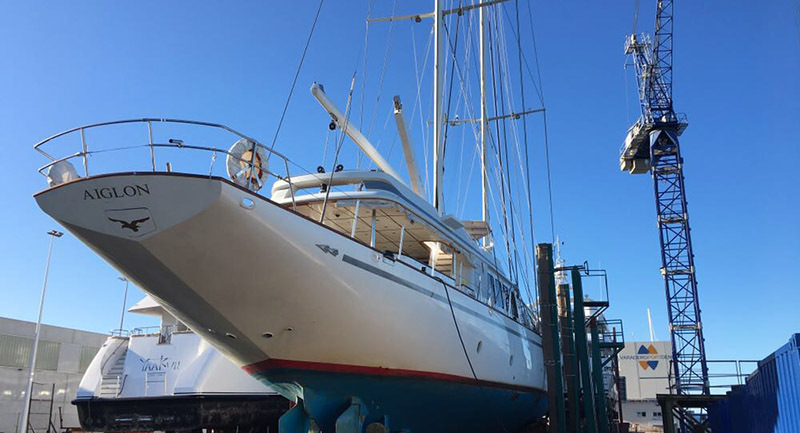 This winter our team carried out her special Lloyds Survey, which included a survey of the shafts, work on the valves and rudder as well as a hull thickness measurement & mega test etc, shaft seal replacement and antifouling. Built in 1987, she is an all time superyacht classic and still going strong! M/Y IL SOLE - this 45m Benetti classic was built in 1994 and chose Port Denia for her latest refit upgrades. Il Sole went undercover for a full paint refit and our team carried out a full interior refit, including a full refit of the air conditioning system. Refit of the Captain's bridge and all the relevant electronics. 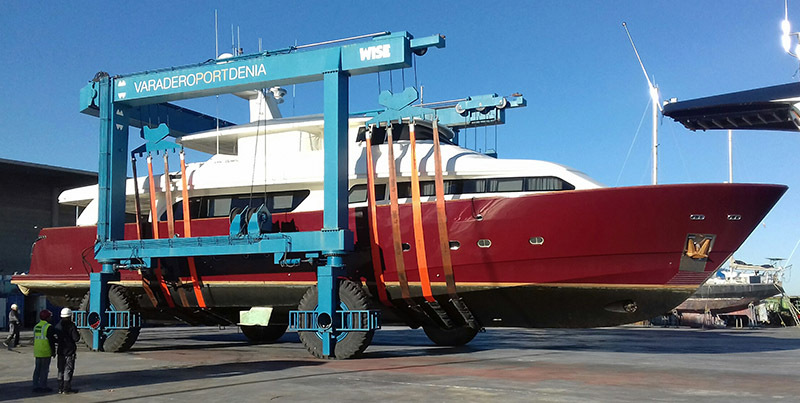 A special BV survey was carried out, as well as the construction of a new sun deck. Il Sole is ready to shine again! 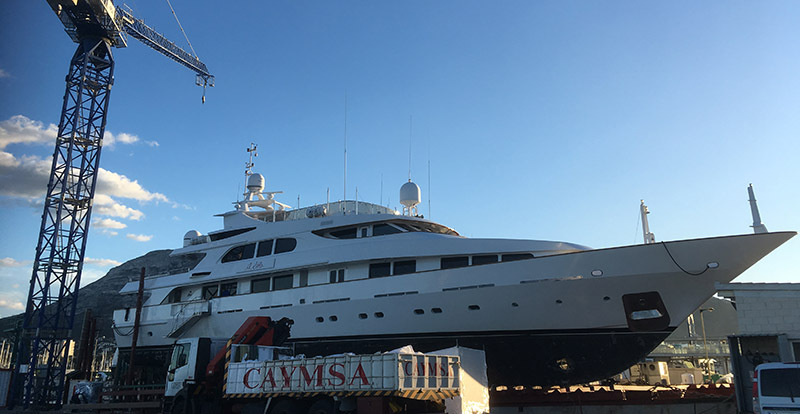 M/Y BELLA NAVETTA - a magnificent sight as she strolled onto our dry dock aboard our travel lift, this 31m superyacht is receiving a full paint refit, a full interior refit as well as the addition of new zero speed stabilisers. M/Y FIGI - at 30m, this super sleek, electric-red 2005 Couach built superyacht certainly stood out from the crowd as she hitched a ride aboard our incredibly busy travel lift. She is under wraps and receiving a full paint refit. S/Y BURRASCA - an ever present in our superyacht marina since last summer, she has been able to stay comfortable in her berth while receiving the nearby shipyard work she requires to maintain the high standard required of this 56m Perini Navi superyacht. Our team has been providing her with new windows, a new interior LED lighting system and new air conditioning fan coils. S/Y AIGLON - another returning superyacht client, this 45m schooner is as majestic as her namesake, the Eagle. On this visit she has been undergoing a full refit of the aluminium hull as well as general maintenance work. This famous charter yacht will be gliding (or soaring) across the Ibiza waters again very soon. 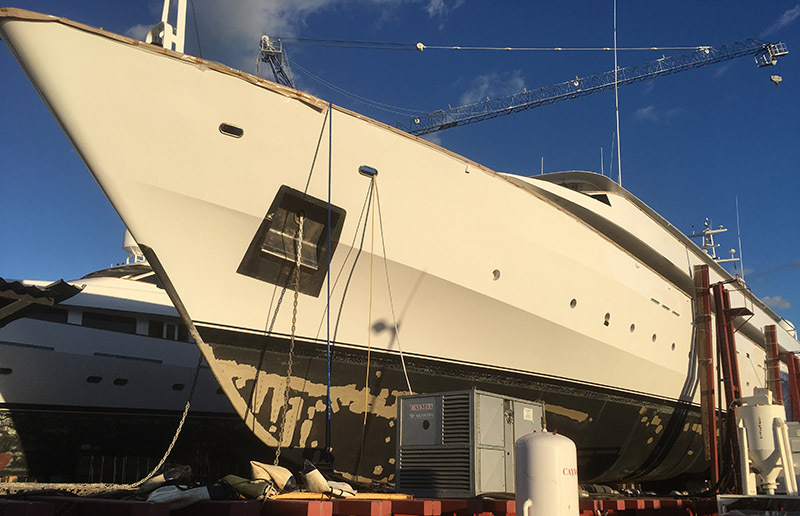 S/Y EMMALINE - this sleek 32m Holland Jachtbouw charter superyacht has been conducting her special Lloyds survey on the Port Denia dry dock this winter. Work included a full shaft survey and maintenance on the valves and rudder, as well as a hull thickness measurement and mega test. Need a Refit? Or know somebody that does? 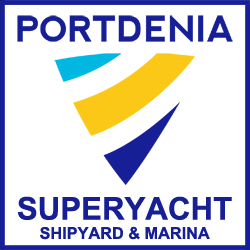 Then give our team a call on +34 965 780146 or email info@portdenia.com and they will be pleased to assist you.